Heavy rainfall and strong winds have sparked extreme flooding in parts of Italy over the last two weeks. Italian regions have been counting the severe impact of the storms, particularly the six northern regions placed under red alert for several days. 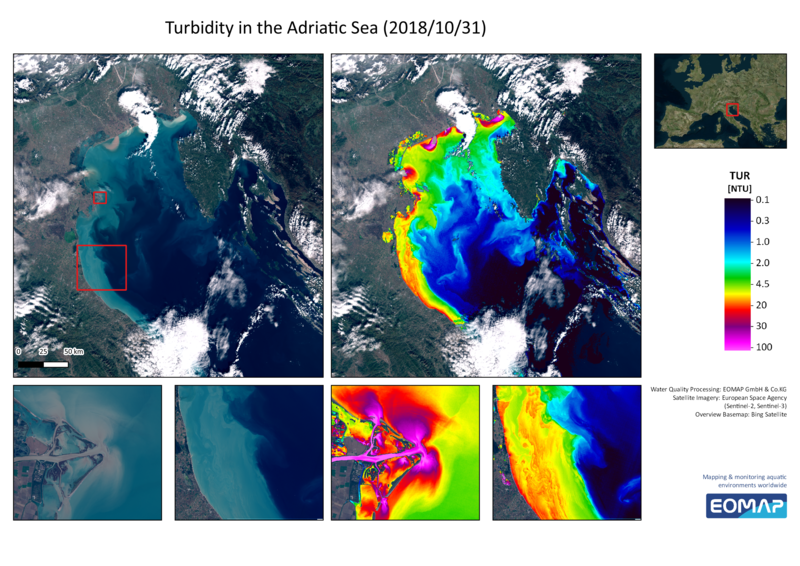 EOMAP used Copernicus Sentinel-2 and Sentinel-3 satellite data sets for flood monitoring – measuring the turbidity levels caused by large river sediment inflows into the Adriatic Sea on Ocetober 31, 2018. Satellite data is useful for quickly assessing the extent of damage. It can also help to monitor and detect any changes or help to understand emerging problems that may be critical in the mid-term. That is why first responders and disaster relief programmes turn to satellite-based tools to help evaluate ground conditions. “Satellite-based tools can provide one key step further by indicating how an excess rainfall event will impact river flow, and also whether there is a potential for flooding downstream away from the heavy rain event,” said Karin Schenk. Where heavy rains unfold, floods follow. Satellite remote sensing is a powerful tool to map flooded areas. 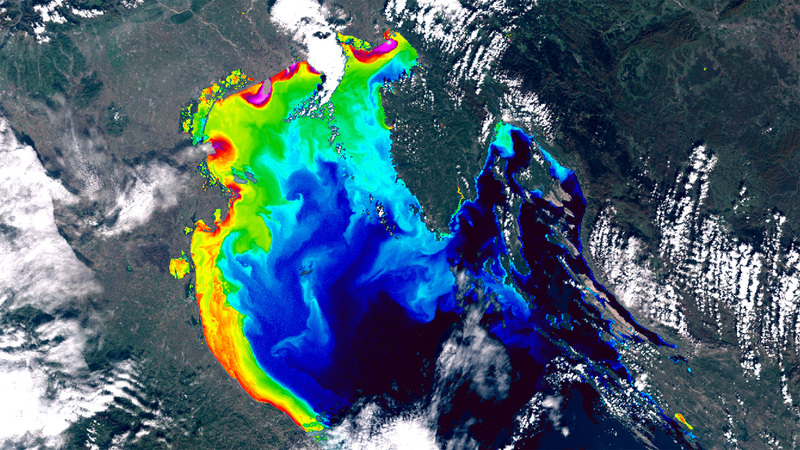 “Satellite remote sensing is an efficient and cost-effective tool to assess a variety of physical and biological parameters in aquatic ecosystems over small-scaled and large areas and plays a very strategic role in maritime surveillance. Its ability to provide a detailed overview of the area is important in conducting on-going assessments and monitoring the extent of damage “, added Hendrik Bernert, EO Data Analyst at EOMAP.